This week is a bittersweet one for me. Bitter because I lost a family member. Sweet because she entered heaven. 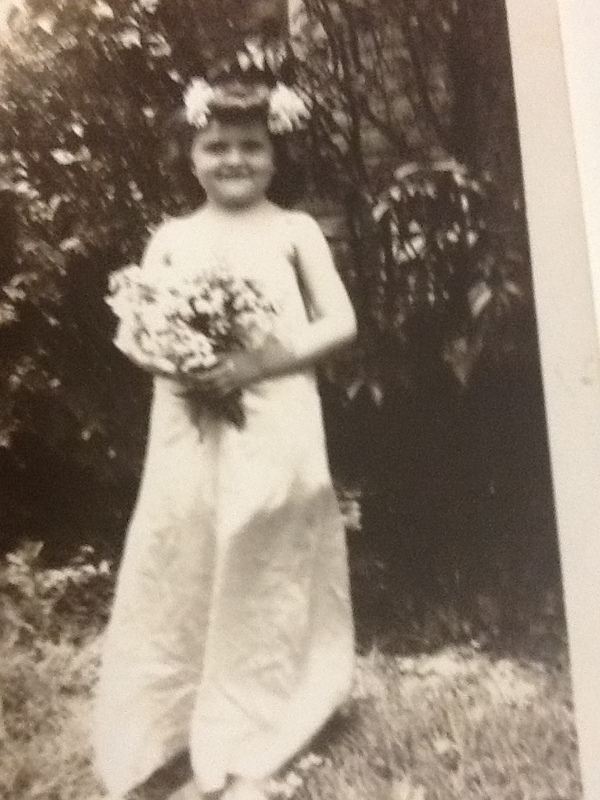 Addie Edmondson Leslie is my aunt, my mother’s youngest sister. I lived the first six/seven years of my life in the house with my mother’s family. My grand parents, their three daughters, two sons (the third son was away fighting in WWII), my mom, my dad, and I lived in a five room house with one bath. Talk about close fellowship – we had it. I was the baby in this family, and these aunts and uncles were more like my older brothers and sisters. Especially Addie who was eight years older than me. We played “dress up,” which means I was her living baby doll. The walls of the bedroom where the aunts slept were papered with pictures of movie stars torn out of movie magazines, and I would lay on the bed with Addie and the other aunts naming the movie stars lining the walls and ceiling of that room. Addie and I grew up, and our lives went in separate directions. Life does that with families, but Addie and I came together again in our young married years. Addie and her husband were baptized with the Holy Spirit about the same time as Gene and I. We all attended the same church. Her three sons and my two sons grew up together and are still close today. Addie became critically ill in the middle years of her life and was dying. The doctors gave no hope to the family, but God had different plans for Addie. By one of His great miracles Addie was raised up to life in that hospital. I was blessed to be in the hospital that night and to have witnessed this as God answered prayers which all of us had prayed for Addie. “If you ask anything in my name I will do it,” the words of Jesus written in the Bible. We asked, and He did a miracle. Some of you reading this have heard me testify about this in meetings I have done. Addie was given years of life by that miracle, and she wasted none of those years. She served God, her family, her church, and all who know her have been touched by Addie. About forty something years ago God raised Addie back to life as she was dying in the hospital room, and this morning He raised her to the highest life, the best life, eternity with Him. So join me today in honoring the life of Addie, one of God’s saints. You may have never met her, but she is part of the family of God, your sister in the Lord if you are Christian. Pray for her husband, her children, and grandchildren. We will miss Addie, but I know heaven is rejoicing, She is probably already working on the Marriage Supper of the Lamb. If you don’t know her you do not understand this. But those of us who knew her know she could spread a feast. Good to know one day I will eat that supper with her. June Capps Evans is a speaker and pastoral advisor to Women of the Word. You can follow her on Facebook too and read her Notes on Life at #writtenwisdomfrommamajune. The people in your life can make you or break you. You have to make the decision which it will be. What people say or do cannot be controlled by you. But, whether or not words and actions remain with you is up to you. Sure, it is a fight to forgive those who hurt, to love the unlovely, to bless and pray for the ones who cursed you. But this is where your Christianity becomes real. This is where you through the grace and power of the Holy Spirit treat people like God treats people. Instead of brooding about all the people in your life who have treated you badly why not rejoice for all the people who are there for you, who have your back, and who love you and support you. Sure there are people who have done you wrong. Give them no place in your feelings or thoughts. Instead, make a list of all those who have preached to you, prayed for you, listened to you, etc. Be thankful for them. Think about them. In spite of what you see, think, or have experienced there are a lot of good, good people of God surrounding you. Thank God for the good, and give the bad no place to dwell in your life. You can find Mama June on Facebook as June Capps Evans and follow her words of wisdom at #writtenwisdomfrommamajune. Also read her bio at Women of the Word. As we approach Mother’s Day I am thinking a lot about my mother in “love” (not law). She went home to heaven about a year and a half ago. She influenced my life greatly by her example! Virginia used to say that she was the “woman at the well.” She had what one might say was a “colorful” past and did not come to know the Lord as Savior until her 40’s. However, she became a testimony of the scripture that when the new comes, old things do pass away. 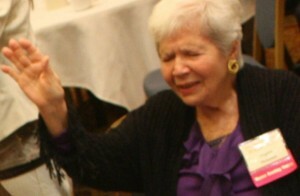 She loved the Lord fervently and became a mighty intercessor! Mom had a smile as big as heaven and a heart to match. She cared deeply for people and always had a kind word. While she would criticize herself she never criticized others. She was a servant of the Lord in every area of her life- whether on the job, at home, in the marketplace or in church. You could go to her with your problems and she would listen and point you to God’s Word . She gave words of life. I knew she was always praying while we were all busy running around. 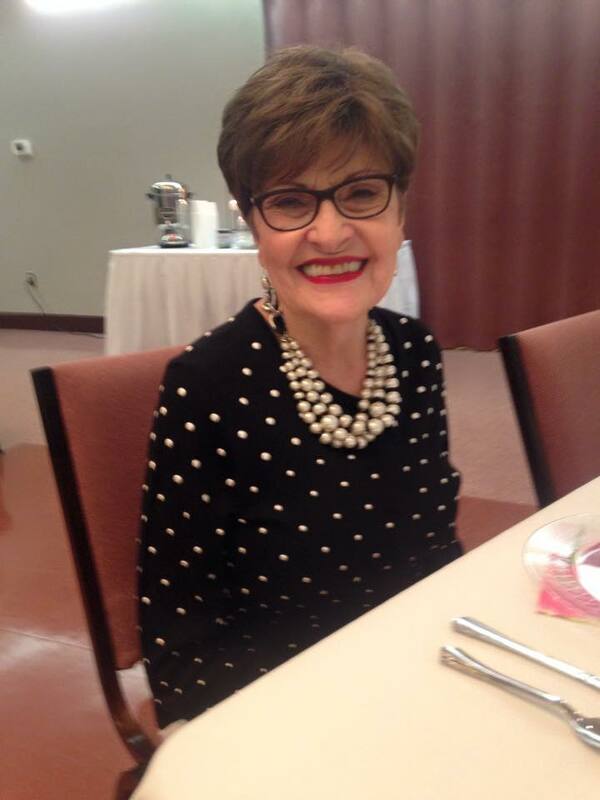 She was also a great encourager and was a vital part of Women of the Word. She was a partner of the ministry, both in her giving and her prayers for many years. Early on she used to travel with me to conferences sometimes. In her latter years when travel was no longer possible for her, she did what her hands could do to serve the ministry by folding newsletters and programs while praying over each one. Virginia was a great encourager to me to press on in leading Women of the Word. She prayed for every prayer request we received, for every event, and every time I traveled. It was my habit to call her when arriving at my destination when traveling and when I got home she always asked how things went. She was very generous – giving of her time and money to bless others. We used to joke at home about all the mail she got seeking her generosity! We still get some! My greatest memory of her is of the open bible on the kitchen table and her reading it every day and praying. She was a fervent intercessor and deeply cared for people. She brought me to know the Lord as my personal Savior 34 years ago. When I was a very young Christian I went through a rather difficult time. I remember coming into her house very distraught. She grabbed her BIG bible off the kitchen counter, opened it and told me to go lie on the bed and cry out to God and that He would comfort me and give me His words for the situation and He did. She taught me a very valuable lesson that day – Cry out to God and go to His Word. It has served me well over many years! The Lord is our comforter, an ever-present help in time of need. Shortly after my husband Jim and I met with our Pastor to plan her graveside and memorial services, I received a daily devotional I get via email. We had been discussing a verse in Deuteronomy that was one of Mom’s favorites and that was the very verse in the devotional. Some may consider that coincidence but I know it was the Lord speaking to me in a very personal way through His Word. The verse is “The eternal God is your refuge, (or dwelling place) and underneath are the everlasting arms!” Deuteronomy 33:27. She often quoted that verse amongst many others. Jim and I are thankful that the Lord allowed us to bring her home from the hospital for her last days. Our girls all came home to help care for their grandmother whom they dearly loved and grew up with. Jim’s brothers were also there. Many family and friends were able to come to see her one last time. It was not an easy time, but it was a blessed time of prayer, ministry, and worship around her bedside. We are still very sad at her departure, but we rejoice that in God’s presence is fullness of joy. We have this assurance – she is in His presence and most likely dancing (something she loved to do)! – no better place to be. Her life lived for the Lord has continued to bear fruit for His glory in the lives that she influenced. I am so grateful she was my “Mom”. By Jane Vaughn The parable of the Ten Virgins in Matthew 25 (5 Wise, 5 Foolish) teaches us about being prepared. But there is another passage that is important as it comes alongside this parable – Ephesians 5:15-17. Ephesians 5:15 says “See then that you walk circumspectly (carefully), not as fools but as wise, redeeming the time, because the days are evil. Therefore, do not be unwise….” Fools – Wise – Redeem the time. So, what to do to prepare in these days? Stockpile food and water? Store up survival equipment? But – are you preparing spiritually for the tougher days that just may lie ahead? How? Seek FIRST the Kingdom of God. Redeem the time. This parable is about having extra oil – stored in your vessel. More than you think you need – for now. More than enough oil to sustain light over a length of time. “Be filled with the Spirit” (Eph.5:18) – filled to overflowing – so that you cannot contain the peace He brings – the “peace that surpasses all understanding” (Phil.4:7). More than enough extra oil so that you can last a long time. A long time – of waiting: “They that wait upon the LORD shall renew their strength” (Isa.40:31); “Do not grow weary in well-doing” (2Thes.3:1). This Hebrew word “wait” means more than standing there tapping your toes. And it means more than “serving” the Lord during the waiting times. The word /qavah/ inherently holds the concept of waiting hopefully.We wait in expectant hope that God will provide – because we KNOW He is faithful to His Word. “The LORD is good to those who wait for Him, to the soul who seeks Him” (Lam.3:25). Many of us who came through the Charismatic Renewal of the ‘60s and ‘70’s believed – truly believed – that Jesus was going to return in the next few years. I never thought my eldest son would see his teen years – or drive my car – or marry. He’s 46 – and I’m a grandmother! I am still waiting for His soon-coming! But I have never given up the hope that He will fulfill every promise. Our preparation is not in stockpiling goods – or even extra money in a savings account (although that is always WISE!) We redeem the time – we get ready now for harder times that just may come sooner than later. We prepare by pressing in to know God – and He reveals everything we need to know about Him in His Word. All the secrets of living this life successfully are there – hidden for us to mine out the treasures. When we bury the treasures of His Word in our hearts, they are there so that the Holy Spirit can, indeed, bring them back to our remembrance at the very moment we need to tap into the reserves within. 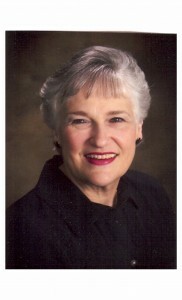 Jane Vaughn is a Pastor and long-time partner with Women of the Word. Formerly, she worked with the ministry in an administrative capacity. She now lives in Arizona, actively involved in the church she attends, teaching God’s Word in various ways. As I sat this morning, I felt overwhelmed by life, and what it can bring. I spend a lot of time talking with women, ministering to women, teaching women, mentoring women and counseling women. Over the years that I have been doing this, I have met so many women who have been crushed by life. I am not talking about women with a little problem, but women who have been crushed, pulverized by life. • To have been sexually abused by a father, grandfather or uncle. • To have been abandoned by a husband who found someone he liked better. • To not have enough money as a single woman trying to support a family. • To be hurt deeply by church leaders. • To suffer miscarriage and infertility. If you are part of a women’s ministry or a small group, trust me when I say sitting beside you are women who are crushed by life. Thank God that many churches are now offering groups to help women who have gone through divorce, abuse and other issues. One friend recently told me of a group she and her husband have begun for people wounded by the church, to help them make a re-entry into the Body of Christ. As a woman who has known the crushing of life, I’m thankful for every time the Church stepped up to minister to me. Yet, I have learned something along the way. 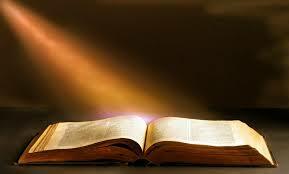 As a woman of God, I personally must learn the Word of God, believe the Word of God and act on the Word of God. The Church can’t do that for me. Chances are slim that we won’t experience a life-crushing event. It is part of the rhythm of life. Yet, never has the intention of God been that we would accept Christ as Savior, sit on church pews for twenty years and remain crushed by life. We can blame it on our churches. We can blame it on our pastors. We can blame it on our women’s ministries. We can blame our families. (I have blamed them all, and then some!) It doesn’t really matter from whence came the crushing. When life comes knocking hard and crushes us, we can cling to God and His Word. We can sing along with our favorite songs of worship. We can confess aloud the promises of God. Like the Psalmist, we can declare that we will see the goodness of God in the land of the living. Not only can we do those things – we MUST do those things. When we do this, something supernatural happens. I can’t even explain it because it is SUPERNATURAL. As we sing, as we cry out to God, as we confess His Word, God comes down and touches woes and turns them to wows. It is not always instantaneous, but He does bring healing and hope. Are you crushed by life? Life will always have seasons where we are hard pressed on every side. Yet in the crushing moments, God’s power will prevail. He is the God who can change water into wine, and He is the God who can change woes into wows. Posted on May 2, 2015 Categories Uncategorized1 Comment on Crushed by Life?